In this post: A delicious and easy Pumpkin Pie Turnover Recipe that has an amazing cinnamon glaze that is the perfect finishing touch to this fall dessert! Fall is in full bloom. 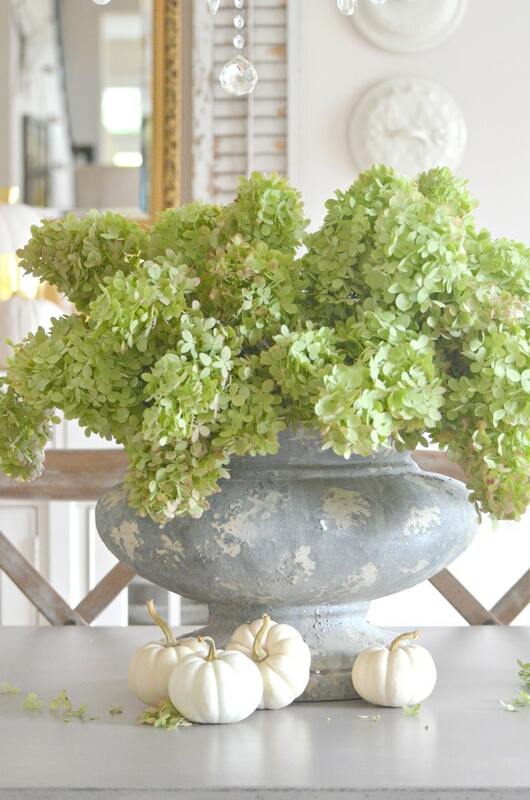 The days are much shorter, the leaves are falling, and pumpkins are everywhere. 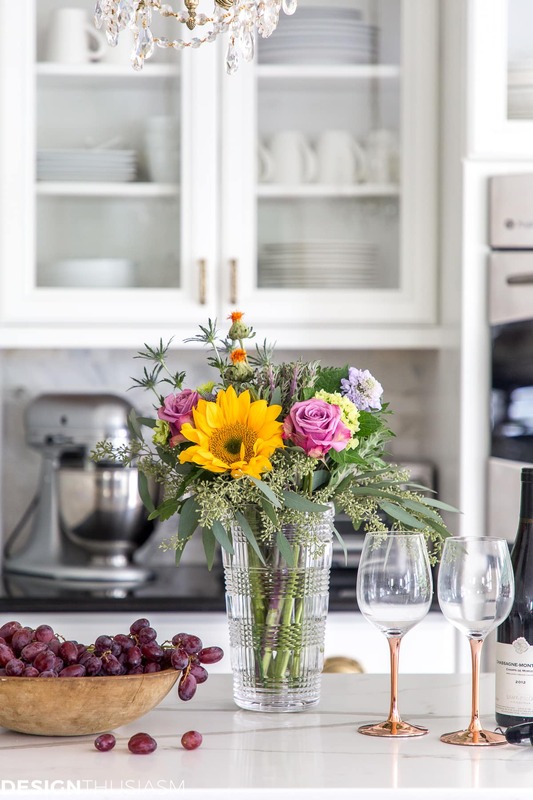 Even though it’s not Saturday, my Home Style Saturdays crew decided to get together today to present some easy, informal fall inspiration that we’re calling The Fall Home Style Blog Hop. Everyone is sharing fresh, new ideas and all the links are at the end of the post. 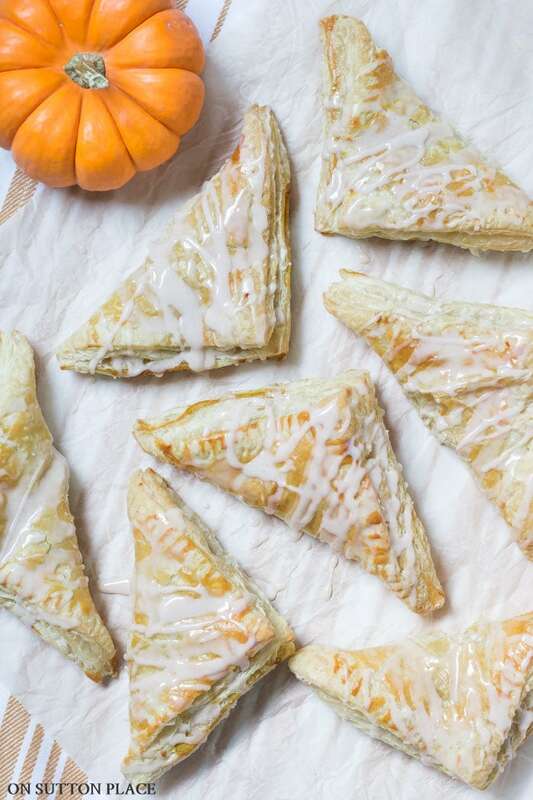 I know this pumpkin pie turnover recipe isn’t technically “pumpkin pie,” but it’s a delicious way to mix things up and make something that’s a little different. The pumpkin filling is super quick to make and nothing could be easier than puff pastry. Top that off with a cinnamon glaze and you have a pretty and festive fall dessert. A delicious and easy Pumpkin Pie Turnover Recipe that has an amazing cinnamon glaze that is the perfect finishing touch to this fall dessert! While puff pastry is thawing, make the pumpkin filling. 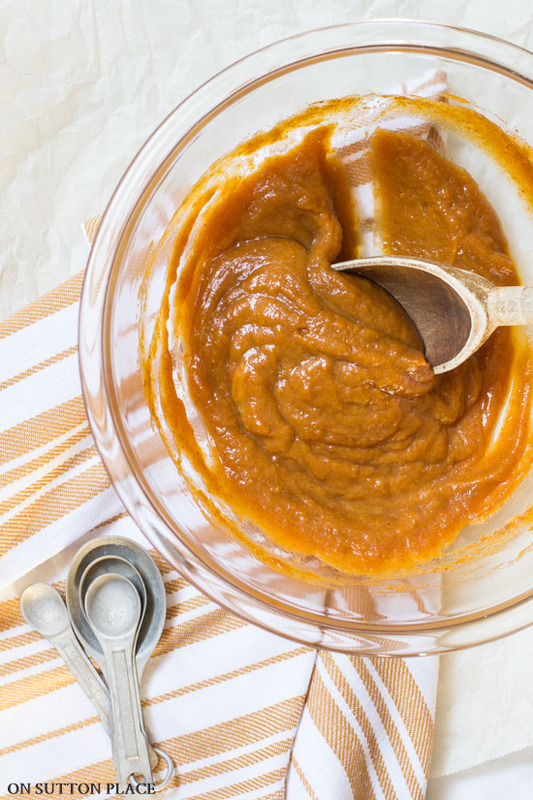 Combine the pumpkin, sugars, pumpkin pie spice, and salt in a medium bowl. Add one egg and stir well. Set aside. Place the other egg in a small bowl with one tablespoon water. Whisk until combined. Set aside. With a sharp knife, cut it into four squares. Place a tablespoon of pumpkin filling in the center of each square. Brush the edges of two sides of the squares with the egg/water mixture. Fold the pastry over the filling to form a triangle. Gently press the edges together and crimp with a fork. Place the four turnovers on a large cookie sheet. Follow the same rolling/filling process with the other sheet of puff pastry. Brush each turnover with the egg/water mixture. Bake for 15 to 20 minutes. Watch them closely during the last five minutes so they don't get too brown. The pastry should be puffed and golden. While the turnovers are baking, make the glaze. Combine the powdered sugar, cinnamon, and milk in a bowl. Stir until mixed well. The glaze should pour from a spoon but should not be runny. Remove the turnovers from the oven and cool for 15 minutes. Move the turnovers to a cooling rack. Place the cooling rack on the cookie sheet you used to bake the turnovers. Drizzle the glaze over the turnovers. Turnovers can be stored overnight in an airtight container. On the second day, warm in the microwave before serving. This pumpkin pie turnover recipe is not overly sweet. If you opt to skip the glaze, add a little more sugar to the filling. The glaze really is delicious and adds great flavor to the turnovers. If, by chance, you have turnovers left at the end of the day, they can be stored overnight in an airtight container. On the second day, they taste great if warmed in the microwave before serving. 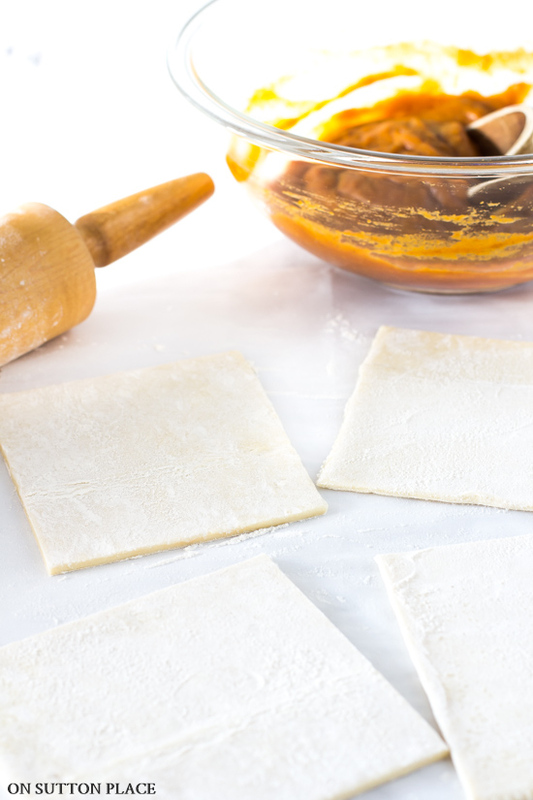 If you aren’t a fan of puff pastry, substitute homemade or refrigerated pie crust dough. Just adjust the shape of the turnover to accomodate the shape of your pastry. If your grocery doesn’t carry Pepperidge Farms Puff Pastry, any brand will work. 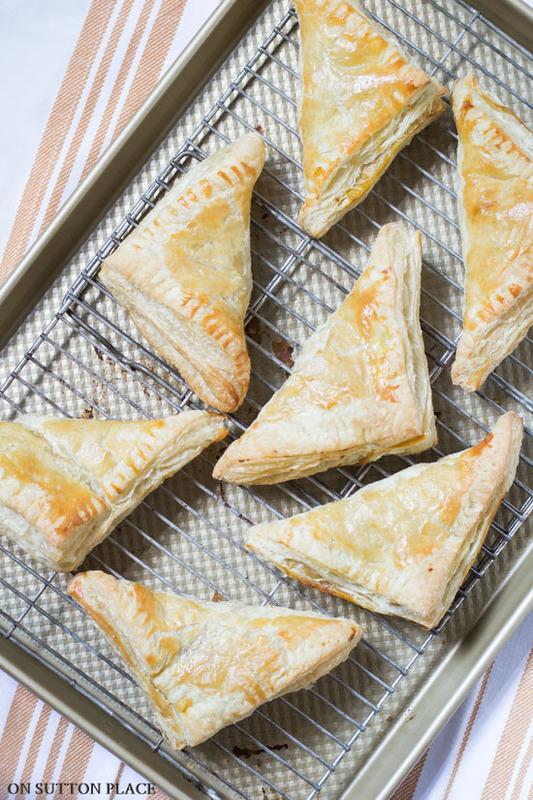 Again, just adjust the size/shape of the turnovers if your pastry isn’t square. We ate these turnovers like a big cookie, but they would be so good paired with ice cream and served like a real piece of pie. Pumpkin is such a classic fall flavor and there’s so many ways to enjoy it that aren’t pumpkin pie! CLICK FOR MORE EASY PUMPKIN RECIPES! Now I hope you have a few extra minutes to see how my friends have been celebrating fall! Another one of your great recipes, Ann! 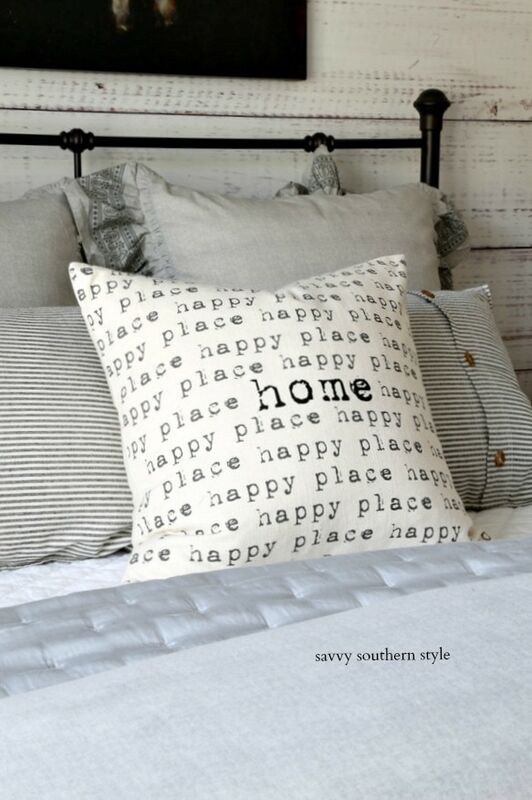 I want to make this on the week-end. We love pumpkin “anything”! 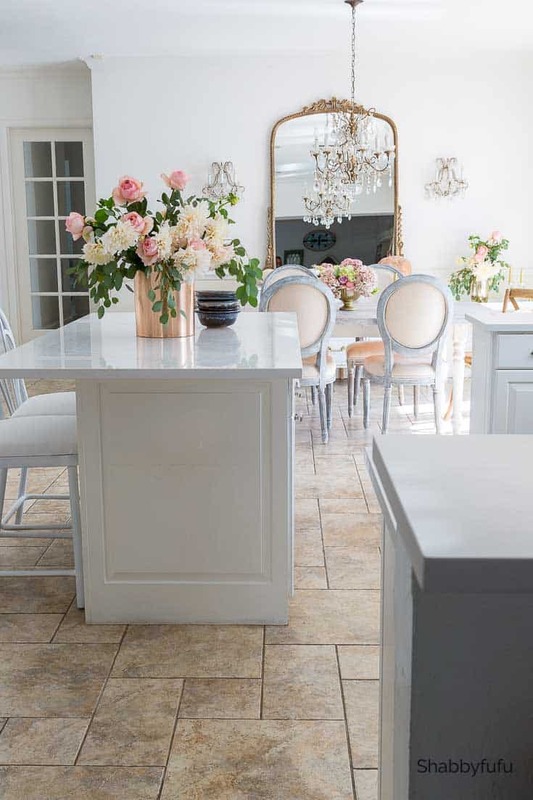 Thanks, Ann, for always sharing your fabulous recipes with us! Ok, I am totally gonna make this cuz it looks so delicious, I’m kind of a pumpkin freak (especially in October) and it looks really simple! Thank you for sharing! These look perfect for after school snacks and lunchbox treats. 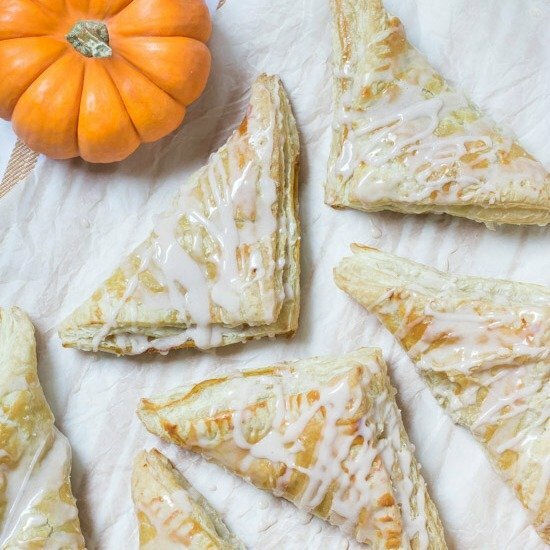 Why had I never thought of pumpkin turnovers before??? Ingenious, Ann. Ann those look so yummy and I need to step up my game and try some new recipes. Ann, thank you. Another one of your wonderful recipes! I have a feeling there won’t be any left at the end of the day! This looks like the perfect brunch recipe for fall company who loves all things pumpkin! Pinning so that I can refer back soon!